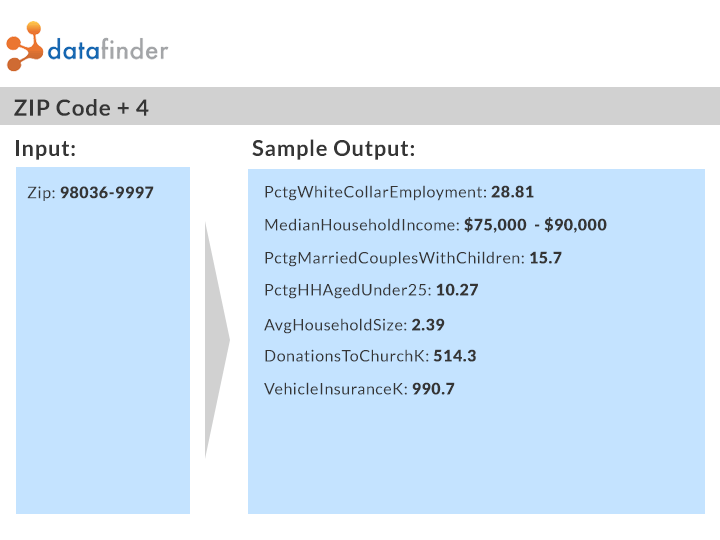 Append extensive demographic data to any ZIP+4 in the United States with LifeData® using Datafinder’s ZIP+4 Demographic Append API. With over 44 million ZIP+4 codes in the US, a ZIP+4 represents as few as 8 people. This level of granularity, covering the entire US, provides valuable insight into any US geolocation.